In this episode Wayne, Justin and Darkest-Timeline Justin review the latest #X-men film, #DaysOfFuturePast, directed by #BryanSinger, who returns to the series after a ten year absence, starring #HughJackman, #MichaelFassbender, #JamesMcavoy, #JenniferLawrence, #IanMckellan, #PeterDinklage, #NicolasHoult and #PatrickStewart. Throughout the discussion we look at the X-men film franchise and how this film surprisingly feels like a real film with actual characters. We also look at the time travel dynamics in comparison to other time travel stories, an explanation of why the #StarTrek films needed a reboot and X-men didn't, why #ProfessorX still can't walk after coming back from the dead and how Bryan Singer may have pulled off the greatest retcon in film history. Also available through iTunes and Stitcher. 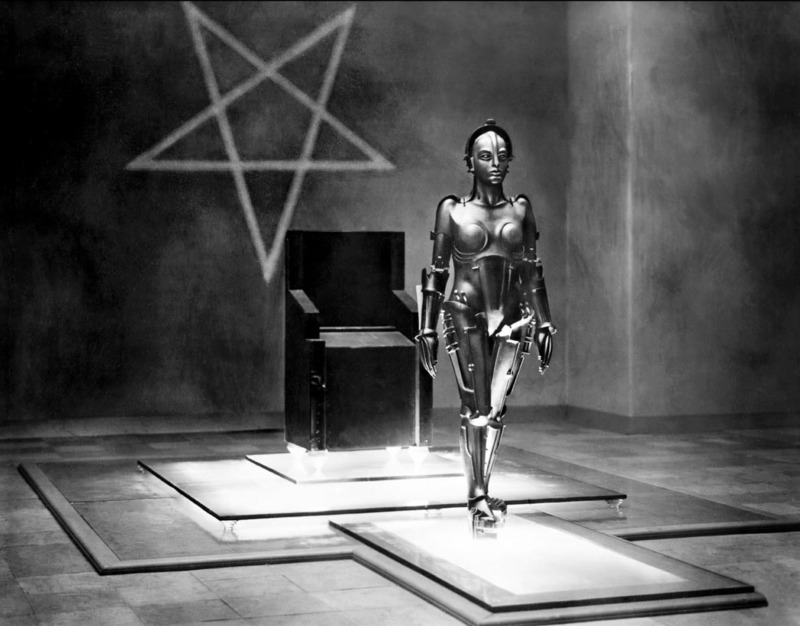 In this episode Wayne discusses the 1927 Fritz Lang classic, Metropolis with guest podcaster Cam. Through this episode we discuss the transitions from silent to talking films, how it was acceptable to speak during silent films, how Metropolis impacted film as we know it today and the changes in acting styles from early to latter silent films. We are also available through iTunes and Stitcher. Please feel free to comment on our facebook page or make a request. From the #SGSarchives we present our discussion of the 2011, #Grindhouse inspired #Canadian film #HoboWithAShotgun starring #RutgerHauer (#Bladerunner, #BuffyTheVampireSlayer, #TrueBlood). This is followed up with a comparative look at the #DannyTrejo (#Machete, #Desperado, #BreakingBad) 2012 film, #BadAss. This film was inspired by a real altercation that became a #YouTube hit known as #EpicBeardMan. Throughout this discussion we look at extreme violence and revenge stories. We discuss the themes as well as the peculiar absence of #RobertRodrigue and #QuentinTarantino from #hobo by having no association to a film that was sold on the mock preview the filmmakers produced from a Robert Rodriguez #GrindhouseCompetition. In this episode we follow up our previous #Godzilla podcast, in which we discussed #Godzilla1956, #Godzilla1985, and #GodzillaFinalWars, with a review of the 2014 version of Godzilla, directed by #GarethEdwards and starring #BryanCranston (#BreakingBad, #MalcolmInTheMiddle), #AaronTaylor-Johnson (#Avengers #AgeofUltron, #KickAss), #KenWatanabe (#Inception, #TheLastSamurai) and #ElizabethOlsen (#LiberalArts, #MarthaMarcyMayMarlene). We had differing degrees of interest in this film, despite this, the flaws were apparent to all of us. Beyond the flaws there was something oddly engaging about this film that was harder to pinpoint than we anticipated. In this mini episode Wayne and Michelle discuss #Chef, written, directed and starring #JohnFavreau, co-starring #JohnLeguizamo, #DustinHoffman, #ScarlettJohansson, #SofiaVergara, #RobertDowneyJnr, #AmySedaris and #OliverPlatt. This is one of those films that may slip below the radar during the Blockbuster film season. However, we felt that this was one of the more honest and rereshing American films in some time. Through this twenty minute episode we discuss John Favreau's career, #foodporn and how bizarre a conversation with #RobertDowneyJnr. may be.